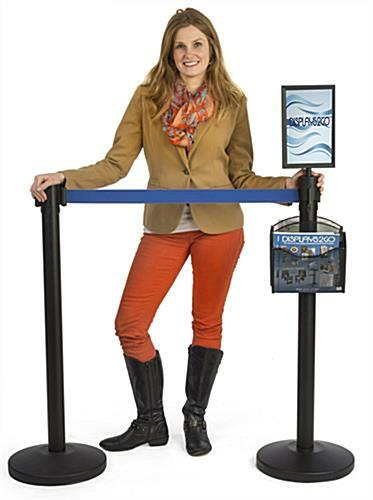 This stanchion with 2 literature pockets and sign holder has a blue belt that is retractable provides easy access for employees and staff. 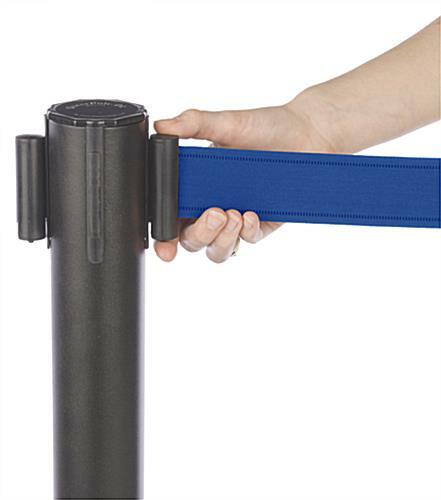 Extending 6.5 feet in length, the band allows for a variety of configurations to be created. 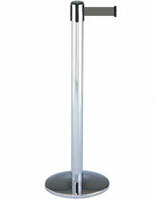 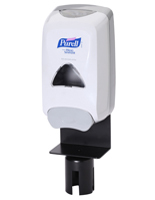 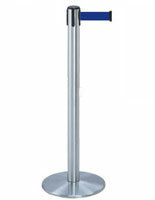 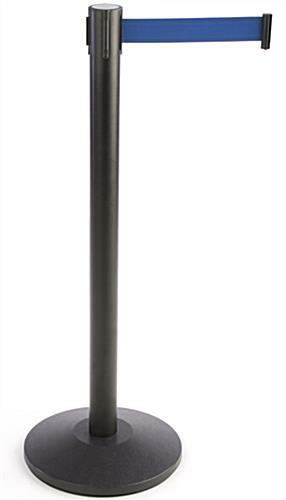 Each retractable stanchion stands 41.5” tall and has a weighted base for stability. 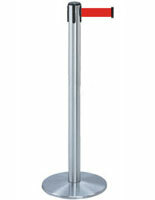 The neutral black finish looks appropriate in any setting, from trade shows to bank queues. 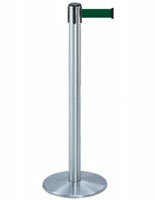 Utilize the accessories kit that comes with each stanchion for versatility. 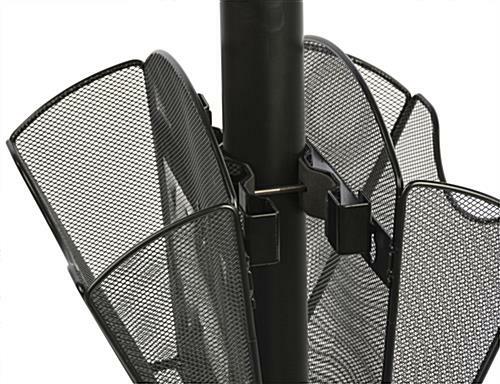 Included in this bundle is a double-sided topper that holds 7” x 11” signage, and two holders for informational catalogs or brochures. 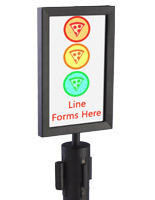 The kit allows users to advertise their event while providing attendees with easy access to promotional material. 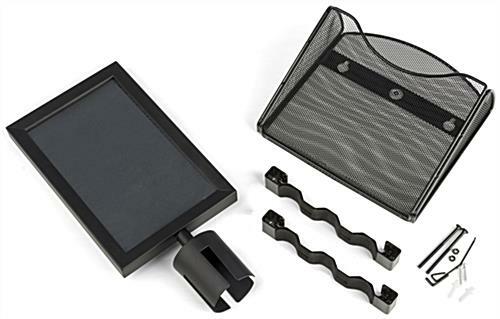 The accessories have a matching black finish for a polished, professional look.